Day 6 of the 25 Days of Christmas! 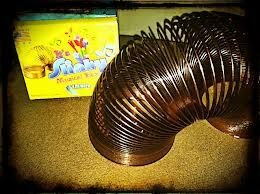 and then enter to win an Anniversary Rose Gold Slinky and an Our America Game. with the 25 Days of Christmas Blogshare Giveaways! Each day we will be highlighting a post from one of our 28 blog partners. Look for the link daily that will take you to the blogshare post of the day. to enter each of the 25 Days of Christmas Giveaways!